During the first 10 years of his legal practice, James F. Sexton, Esq. represented insurance companies, defending them against claims from persons injured in car accidents and at work. Every dollar Mr. Sexton saved the insurance companies meant a dollar less for the deserving injured persons. In 2001 when Mr. Sexton decided he would rather help people than advocate against them. 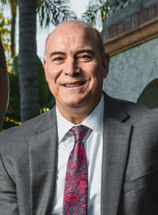 Mr. Sexton now represents car accident victims and injured workers versus the insurance companies and is dedicated to protecting his client’s legal rights.